Arkansas is set to execute its fourth death row prisoner in a week today, with four more executions on hold. But activists who oppose the death penalty have made these executions more difficult by cutting off states' access to drugs needed for lethal injections. Popularity: Approval of the death penalty is at the lowest it's been since the 70s, according to Gallup's poll. The drugs: Traditionally, a cocktail of three drugs has been used in lethal injection: 1. An anesthetic so the prisoner is unconscious. 2. A paralytic, which freezes up the lungs and other muscles. 3. Potassium chloride, which stops the heart. The problem: The anesthetic. 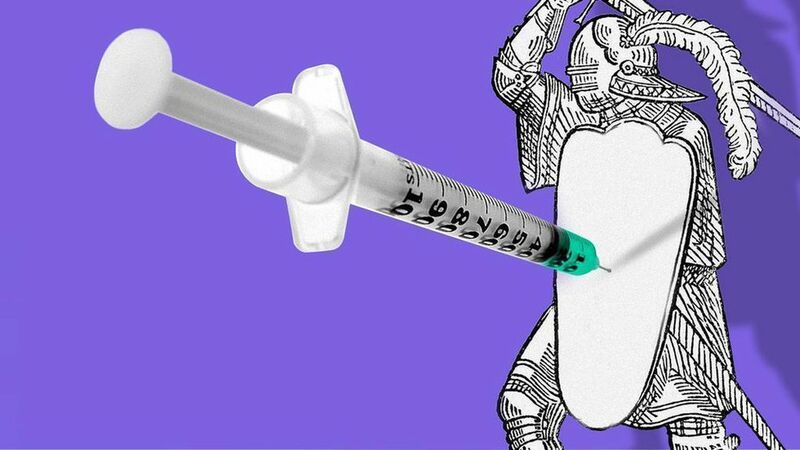 Anti-death penalty activists have managed to block one powerful anesthetic after another, which has resulted in experiments with different drugs and ultimately, several seemingly-botched executions. Sodium thiopental was the anesthetic of choice for years, and Hospira was the only American, FDA-approved pharmaceutical for the drug. Hospira stopped production of sodium thiopental after the FDA discovered several cases of drug contamination in 2010. This left states with a shortage of drugs, according to the Atlantic. State prisons turned to Europe, Dubai and even a salesman in India to illegally import the sodium thiopental. Maya Foa, an anti-death penalty activist, first convinced British government and eventually the European Commission to ban the exporting of drugs intended for lethal injection, the Atlantic reports. The activist organization she worked for also managed to stop other countries from exporting sodium thiopental by informing the pharmaceutical companies what the drug was being used for. The Drug Enforcement Administration then went on raids taking the states' supplies after reports came out about states importing drugs for lethal injections. In 2010, pentobarbital was first used as the anesthetic in a three-drug lethal cocktail in Oklahoma, according to the Death Penalty Information Center. 7 months later, the pharmaceutical company Lundbeck used distribution controls to prevent the U.S. government from using their pentobarbital for executions, according to the Atlantic. In the 2010s, several states passed secrecy laws which maintained anonymity for the doctors and pharmacists who supplied drugs to state prisons, in an effort to encourage cooperation. Only in Missouri did the court demand that the prison's reveal their sources of the lethal drugs. In 2013, Midazolam was first used in a three-drug, lethal cocktail in Florida, according to the Death Penalty Information Center. In April 2014, Clayton Locket's execution, which lasted two hours, Midazolam was used and resulted in Locket gagging and gasping for breath. In 2015, the Supreme Court ruled that there was not enough evidence that the use of Midazolam falls under "cruel and unusual punishment," in a case brought by death row prisoners. Activists had engaged "in what amounts to a guerrilla war against the death penalty," wrote Justice Samuel A. Alito. Earlier this year, the large pharmaceutical company, McKesson Corporation, sued Arkansas for using its drugs for executions deceitfully, Reuters reported. Arkansas then scheduled eight executions in 11 days, after no execution since 2005. Several of the inmates' executions were delayed after lawyers made the argument that the use of Midazolam could violate the 8th Amendment. However, the first execution was carried out last week, a double execution was performed on Monday and a fourth execution is scheduled for tomorrow. Why the rush? The state's supply of Midazolam expires at the end of the month and they don't know when they could get more.